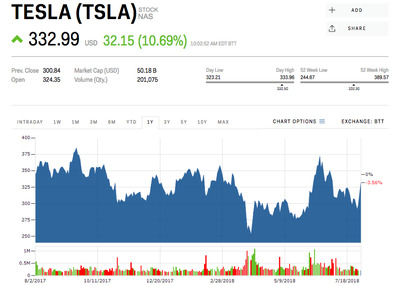 Tesla reported earnings on Thursday that sent its stock flying higher by nearly 10%. The electric-car maker said it slowed its cash burn and revenue topped Wall Street’s expectations – but per share losses were more than anticipated. A number of analysts upgraded the stock and raised their price targets, but the remained concerned about its finances. 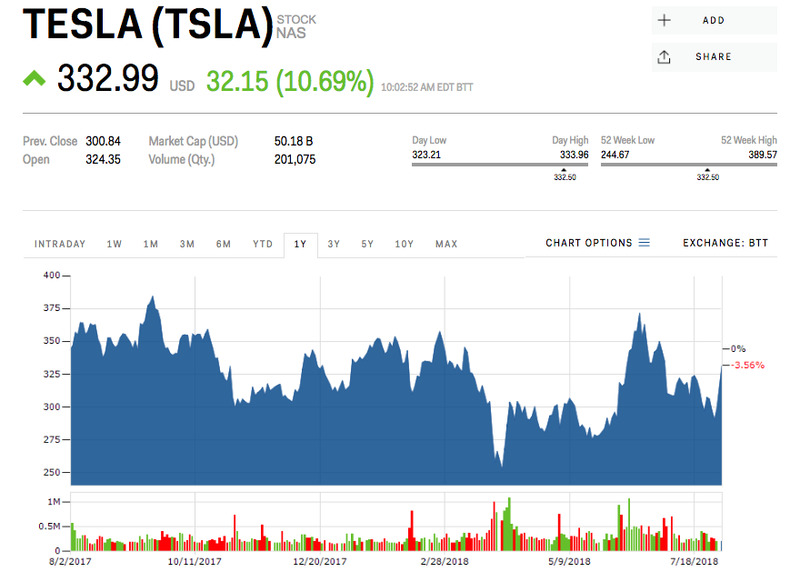 Tesla reported a mixed-bag in its earnings report on Wednesday, sending shares up more than 10%. The electric-car maker said it slowed its cash burn and announced revenue that topped Wall Street expectations – but its per share loss was more than anticipated. While the report led to a few price-target increases and upgrades across Wall Street, most analysts remain sceptical that Tesla can continue without a cash infusion in the near future. The average Wall Street price target held at $US317 a share, according to Bloomberg. Spak also warned that Tesla’s stock price has become “somewhat of an Elon sentiment gauge,” referring to the personality cult surrounding Tesla’s rockstar-like chief executive. “Demand growth: Materially better than expected but still largely based on Tesla’s expectations from here. Tesla’s Model 3 volume forecast is far higher than what we have modelled while S and X guidance is modestly higher,” analyst Adam Jonas said. “Cash consumption: Better than expected, but…questions remain about sustainability and what measures were taken to achieve it. Sustainability questions involve working capital arrangements with suppliers (that can snap back) and securitization actions. “While we have been cautious on Model 3 ramp, we believe gross margin performance on Model 3 will carry the stock over the next 12+ months,” analyst Colin Rusch, who upgraded the stock to outperform, said.